One man’s weeds are another woman’s salad. 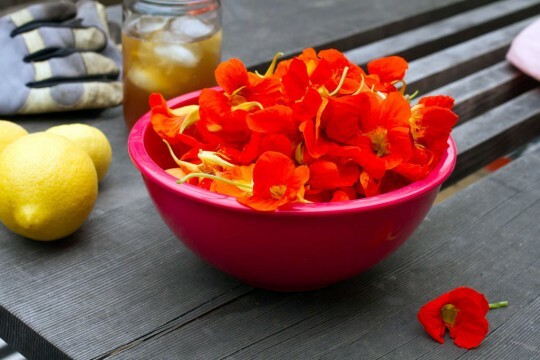 I once nurtured a pot of nasturtiums so that I might enjoy a few edible flowers. Now there is a whole mess of them, colorful yet crawling and sprawling all over the place. When they began to climb the lemon tree, I yanked them, but not before harvesting for salad. The next day I headed out front, to weed among the flowers. But I couldn’t bring myself to toss all those bitter dandelion greens – not after the many times I’ve purchased a bunch and tossed them in a pan with oil and garlic for a quick sauté. Tonight I’ll enjoy them with a pork chop.